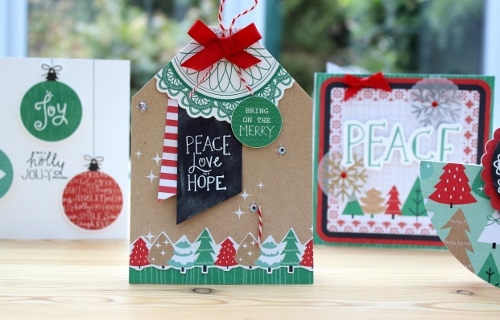 The 'Holly Jolly' collection from Kaisercraft is my product pick for Christmas 2015. I had the pleasure of working with it for a feature in Issue 87 of PaperCrafter magazine, it's in the shops now. Here are just three of the ten cards I made, check out this link to the PaperCafter magazine website to see two more.